In all honestly, I'm pretty lucky when it comes to my husband and shopping. My day job is done out of our house, while my evenings are taken up by my other "jobs" (or projects, if you prefer), also done at home. In other words, I spend a lot of time at home during the week days. 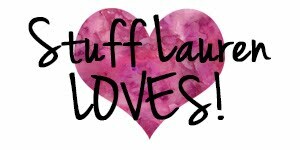 I often send my husband on quick errands throughout the week after work or in the evenings. We're lucky that I have the bulk of our groceries delivered weekly, but there's always those odd and end things that we suddenly run out of or items that I must have from certain stores (my current obsession is Trader Joe's Vegan Pesto. O.M.G.). He's gotten so good that I recently sent him to the store with the vague instruction "I need more maxi pads." Let me tell you, that man came home with the exact maxi pads I use. I didn't need to even tell him the brand he was looking for. Most couples might be embarrassed by this, but not me. I was so incredibly proud of him I had to restrain myself from instantly doing a Facebook shout out about it. Of course then there's the mishaps, like when he came home with the wrong kind of cat litter because he thought it didn't matter. He learned quick that it mattered to both me and the cats. Oops (and yuck). This past weekend was busy and I failed to schedule a grocery delivery. No biggie, we can grab stuff ourselves. Apparently I've become very accustomed to my grocery deliveries because I can no longer successfully grocery shop myself. Thus, this afternoon found me quickly making a list for my husband. 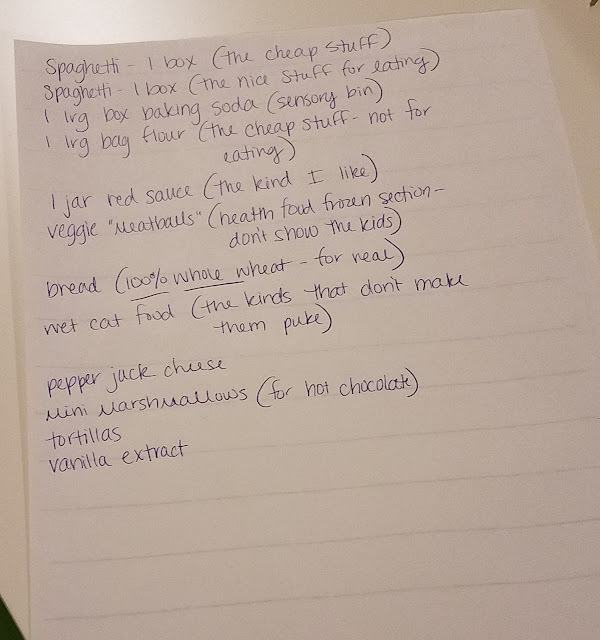 I made a very husband-friendly grocery list. It's actually a typical list for me to make, but I had to laugh at it. 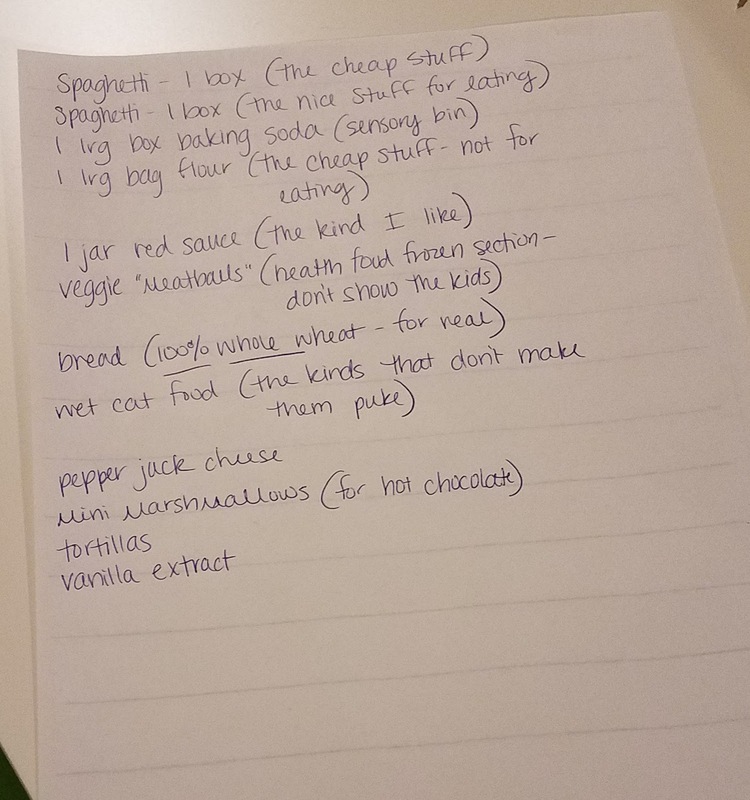 Only our grocery list would have to differentiate the food that was for sensory activities versus the food that was for eating and little notes about the things he's buying (the veggie meatballs actually made me giggle because if anyone else saw this list they would be confused, but we know that as long as the kids don't see that the "meatballs" are in fact veggie balls, they'll eat them just fine. As soon as they find out they're vegan, they tell us the "meatballs" taste horrible. Go figure).